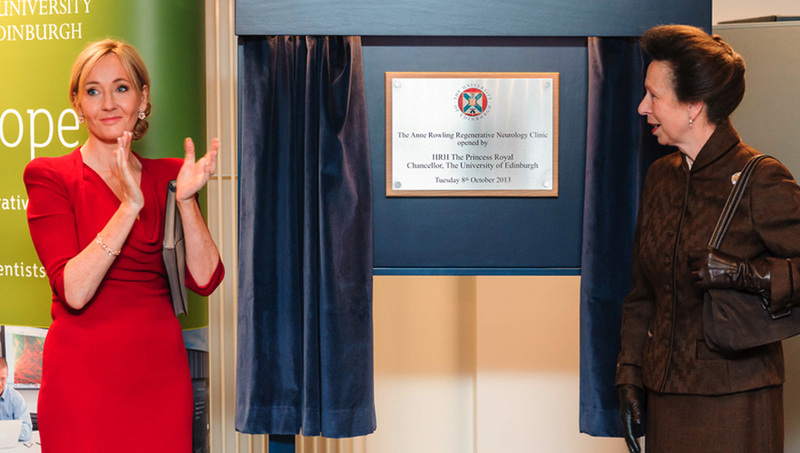 On Tuesday 8th October 2013 J.K. Rowling attended the official opening of the Anne Rowling Regenerative Neurology Clinic, at the University of Edinburgh. The Clinic was formally opened by the University’s Chancellor, HRH The Princess Royal. Patients with multiple sclerosis and other neurological diseases are already benefitting from the research clinic, which has been operational since earlier this year. The Clinic was founded following a substantial donation by J.K. Rowling, and is named in honour of her mother, Anne Rowling, who died of multiple sclerosis aged 45. To find our more about the clinic, visit the website.